Getting a manicure these days is almost a full day’s effort, what with the traffic and commute these days it will just eat up your time. A simple solution would be doing those nails yourself, right in the comfort of your home. More often than not, most women have already tried doing this themselves. 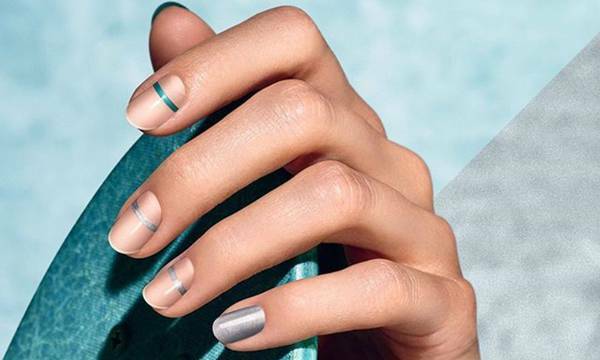 If you did not, do not fret because fortunately, we gathered and scoured the internet for those nail painting tips that really work and here they are! Continue reading below to know more about how to make your DIY nail polish job look like they are done by professionals. The general rule is that you only need three strokes to perfectly cover your fingernail with an even coat of paint. This is also known as the three stripes method. First up, dip your brush into the bottle and get a decent sized blob of polish and put it just above the cuticle. From here dip your brush into the droplet and then slide it up towards the edge of your nails. Repeat the same with the left and right sides of your nails and your done! Source only high-quality nail polish materials and Colores de gel from reputable stores, whether online or otherwise. Never skimp on the quality of your nail polish, base coats, and top coats as the quality will dictate how your nail turns out after the procedure. Buying cheap may actually dry out your fingernails and cause them to be brittle, causing cracks and chips. So, for your safety and for really good looking nail art, get only the good quality ones. Absolutely use a base coat before applying color. Never use a top coat as the base coat as they are mixed with different materials to suit a specific purpose. For instance, using a top coat as the base coat will never achieve the purpose for doing so. The topcoat may not have the same surface adhesion properties that a true base coat will have. In the same context, using a base coat as a topcoat will not achieve the shine that a true topcoat can provide. Avoid these at all costs as this will dehydrate your fingernails and make them brittle. If you want your nail polish to dry quickly, give them a dip in cold water or have cold water run over them for a little bit as it makes drying time that much faster. When it dries fast enough, the job would be less like to suffer from nicks and chips because of movement during drying time. Some salon experts swear by putting nail polish in a refrigerator to keep them from drying out. Cleaning up after each use and properly sealing the bottles go a long way in making sure that your items are fresh and will last their intended lifetime and not before.